Cambodians seem to wear their life stories on their faces. After getting a basic background on the country’s war-filled past, it’s developing present, and it’s promising future, you can almost see these different stages while looking at the people. 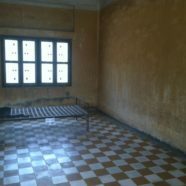 The elderly seem content, fortunate to have made it through the killing spree of the Khmer Rouge. The middle-aged seem caught in between. Many of them were alive for the horrific events that transpired in the late ’70s, but try to mask that experience with friendliness and positive interactions. And the young are full of smiles and curiosity. Aware of the past, but more importantly, excited for their future. 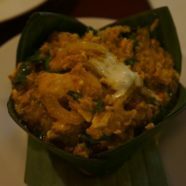 The food in Cambodia was a wonderful mix of flavors influenced by many of its neighboring countries: Thailand, Vietnam, even a little bit of India. We were fortunate to enjoy daily home cooked meals from our host family to really get a sense of authentic cuisine. 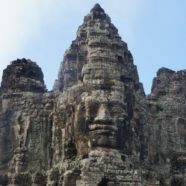 Cambodia is a very interesting country. It’s traumatic history is very recent. It’s prestigious temples of Angkor Wat are world-class. It’s capital is reinventing itself. It’s people are some of the most genuine we’ve ever met. And it’s children are inspiring. 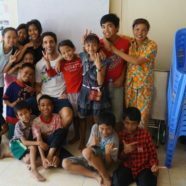 Kat and I spent two weeks working and teaching English to some of these kids in Phnom Penh at an orphanage known as New Way of Life (NWL) and our experience could not have been more enjoyable. 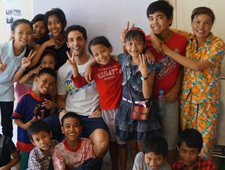 These two weeks in Cambodia were tough. I feel as if I now understand what people meant when they cautioned me, “You know that the trip will be very difficult at times.” I have been tested and it has, in fact, been difficult. While I do not want to be overwhelmingly negative, I do feel the need to be honest. 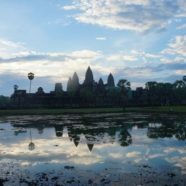 Beyond the splendor of Angkor Wat and the friendliness of Cambodia’s people, there seems to be an overall sadness to the country. And, even though I couldn’t shake a slightly depressed feeling for my entire visit, I learned a great deal. 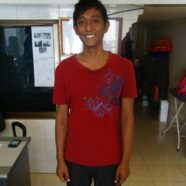 I learned about human resilience and that even I can overcome brutal living conditions. Hands down, Angkor Archeological Park is one of the top three (if not the top) sites that I have ever seen. Our travels have taken us to some amazing places and, although this visit is fresh in our minds, it could well be at the top of the list and remain there for a very long time. Between the two of us we’ve seen ancient sites such as Machu Picchu, the Roman Colosseum, Pompeii and Mayan ruins in Mexico, but none can compare to the breadth and impressiveness of one of the largest collections of religious temples in the world. Cambodia’s tourist numbers have skyrocketed in recent years, and this place is exactly the reason why.